This week’s Misfit Entrepreneur is Amber Lilysetrom. Amber has a unique gift. She has a very innate ability to help people figure out exactly what they want in life and then help them with the actions needed to turn their dreams into reality. She didn’t start with this ability though. She found it through a very traumatic experience in which she came very close to death. As she says, the moment awakened her to the realization that she could no longer hide from herself and what she was truly meant for. In less than a year, she made it all happen. Today Amber is a transformational branding & business strategist, writer and speaker. 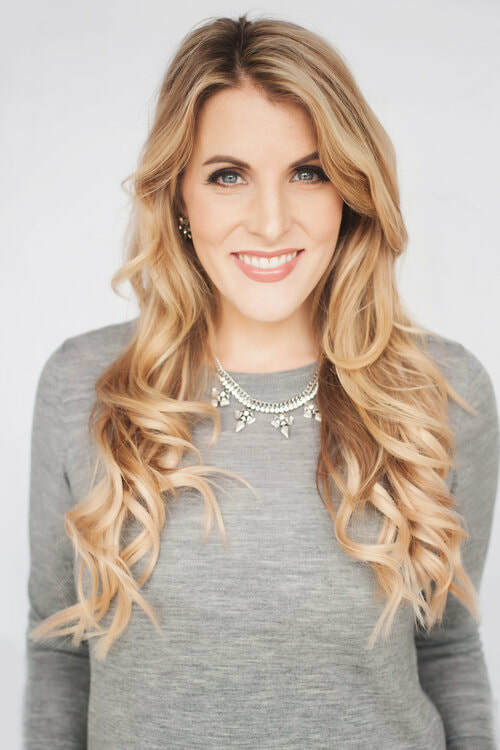 She has been featured in Entrepreneur and Working Mother Magazine, is the host of The Amber Lilyestrom Show podcast and helps entrepreneurs turn their passions in to heart-centered brands and thriving businesses. While Amber’s journey to find herself and her true calling is hers, what she has learned about how to help others do the same is universal and that is what she shares with in this episode. Amber was working in her corporate career in athletics in marketing and branding when she has near death, or more honestly, a death experience. During an emergency C-section giving birth to her daughter, she stopped breathing on the operating table as a result of high spinal tap. She had what she called a beautiful spiritual experience that gave terrifying clarity that she was not doing what she knew she was put on the earth to be doing – which was serving a bigger way to help people find their courage to be who they were truly meant to be. She talks about the out of body experience she encountered and the fact that she had this moment of complete surrender where the switch had flipped and she came back, could breath, and was awake again. As she says, she was a different person leaving the operating room. At the 7 min mark, Amber explains what it feels like to truly know who you are and find your calling. How do you take things from dream a reality? Dave and Amber have a great conversation on the power of consistency. At the 21 min mark, Amber talks about the power of focusing, discipline, and delegation - and why it is so important to success. At the 24 min mark, Amber walks through her business and how she does things. What does someone have to do to get their center and find out what they are truly meant to do? Tap into the why that you weep for. What is the thing that moves you to tears? Once you’ve found the “why,” what does someone do next? Fear is the biggest obstacle followed by trusting that they can actually do what they know they need to do. People have to decide “pick themselves for their own team” and give themselves the gift the gift of their own grace and self-compassion. When someone is willing to do that, they can do anything. It’s as simple as understanding that you choose who you are and have the ability to create it. At the 35 min mark, Amber talks about how to find the sweet spot in going after your dreams while keeping your relationship with your spouse or significant other at the highest levels. Biggest lesson from sport that has helped you in success? No one is going to do the work for you. If you want to be the best, you have to show up and do the work. Best lesson you’ve learned on my journey? We can learn a lot from each other across genders that give awareness and impact to grow in better, larger ways because we have great traits that are transferable. Great change requires great courage. When you are afraid and know you need to take your next big step, seize the courage and do it. Consistency is the key and the doorway to success. Not just in your business, but in yourself and soul care. You can never possibly know who will be positively impacted by you saying “yes” to your BIG dreams.